Knights Inn, located in beautiful downtown Ponca City, Oklahoma is within walking distance of the theater district and many local Ponca City restaurants. 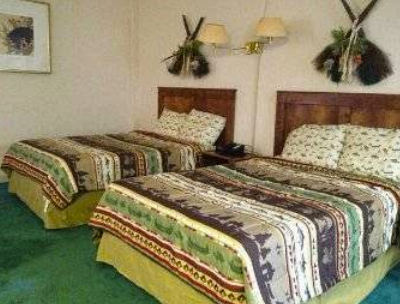 The hotel provides a convenient location for visitors to the botanical gardens as well as for those looking to explore Ponca City’s numerous historic sites. A variety of amenities is available to ensure your stay in the area is efficient and convenient including free Wi-Fi throughout our hotel. For those looking to get some work done while in Ponca City, the Knights Inn business center provides the perfect spot to catch up on email or review reports for the office. Also enjoy convenient amenities like coin laundry, ice machine, laundry service, free parking and coffee in our lobby area.